ORLANDO, Fla.--(BUSINESS WIRE)--Siemens has been awarded another order from Pattern Energy Group LP (Pattern Development) to supply and install 87 wind turbines for the Logan’s Gap Wind project located in Comanche County, Texas, approximately two hours southwest of Fort Worth. 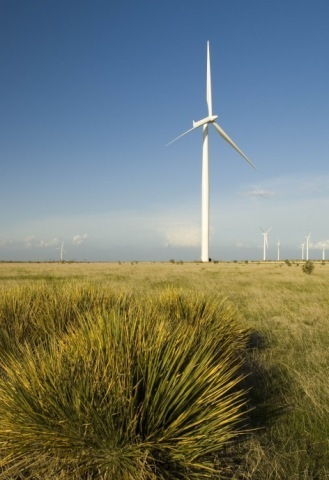 The 200-MW project will create enough clean energy to power 50,000 homes in Texas annually. The project will feature Siemens SWT-2.3-108 wind turbines, each with a power rating of 2.3 megawatts (MW) and 53 meter blades. Installation of the wind turbines is scheduled to begin this year, with the start of operations expected for fall of 2015. A service and maintenance agreement was also signed to help ensure the turbines operate at optimal levels. Logan’s Gap is the fourth wind project in Texas owned by Pattern Energy Group, Inc. (Pattern Energy). The energy provided by these turbines joins Siemens current installed base of more than 1,200 turbines in Texas. Logan’s Gap represents the 12th project between Siemens and Pattern Development in the U.S., Canada, Puerto Rico and South America. The nacelles for the project will be assembled at the Siemens facility in Hutchinson, Kansas. The blades will be manufactured at the Siemens blade facility in Fort Madison, Iowa. “Pattern Development and the State of Texas continue to take a leadership role in the growth of the wind energy industry in the U.S., and this is well demonstrated by the number of projects the company has developed,” says Jacob Andersen, CEO Onshore Americas, Siemens Wind Power and Renewables Division. “The collaboration and policies supporting renewable energy development in Texas have helped the wind industry thrive there, and we are proud to be a part of this growth and our strong partnership with Pattern Development,” Andersen added. The Siemens SWT-2.3-108 wind turbines are part of the company’s G2 platform of onshore geared products – the workhorse of Siemens installed portfolio with rotor diameters optimized for all wind conditions. The G2 platform features highly-engineered, designed and manufactured components, exceptional reliability, intelligence and low operational costs for an optimized return on investment. Siemens recently hit the 10-GW installed capacity milestone in the Americas, with its 5,600 installed wind turbines in Canada, the U.S. and South America. Nearly 5,000 wind turbines are installed in the U.S., and are capable of producing clean, renewable power for more than 2.5 million households every day. Siemens Wind Power and Renewables is a leading supplier of reliable, environmentally-friendly and cost-efficient renewable energy solutions. Driving down the cost of wind power is our key target as we strive to make renewable energy fully competitive with conventional energy sources. Pattern Development has ordered 87 units of the type Siemens SWT-2.3-108. Siemens Corporation is a U.S. subsidiary of Siemens AG, a global technology powerhouse that has stood for engineering excellence, innovation, quality, reliability and internationality for more than 165 years. With 343,000 employees in more than 200 countries, Siemens reported worldwide revenue of approximately $98 billion in fiscal 2014. Siemens in the USA reported revenue of $22.2 billion, including $5.2 billion in exports, and employs approximately 46,000 people throughout all 50 states and Puerto Rico.